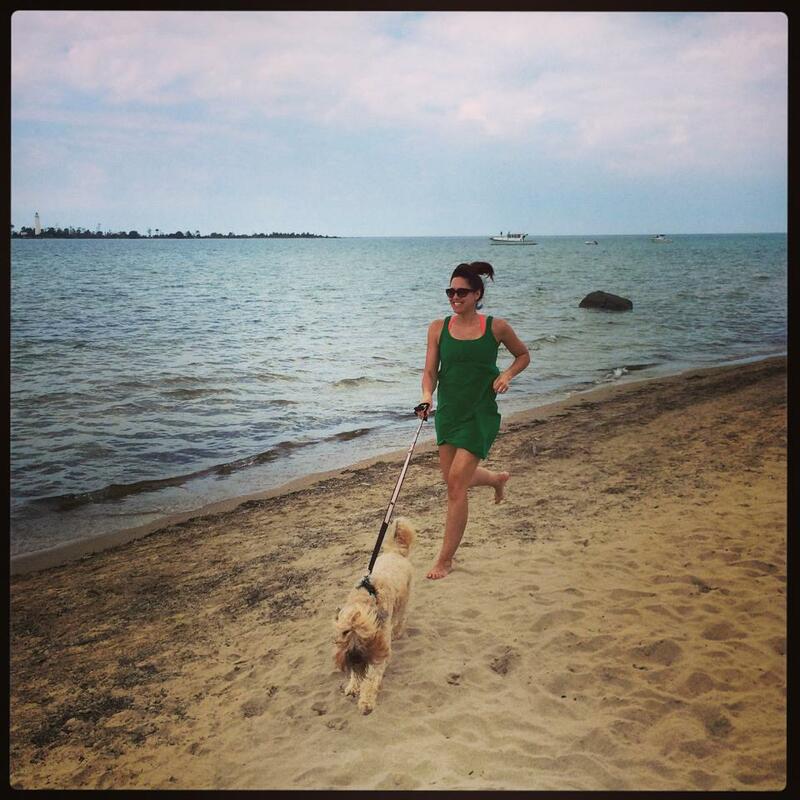 This guest-post was written by a member of our Yoga Teacher Training program, Nicole. She’s pictured here with her favorite gal, Mags. My friends and family were super-supportive of my deep dive into yoga through teacher training, and I’ve been enthusiastic to talk about my experience overall. Though my physical practice wasn’t consistent directly leading up to the start of the program, few people expressed surprise that I would pursue my yoga teaching certification. However, for reasons that I will attempt to share, I kept my plan to apply for teacher training on the down-low initially. While I’d practiced at QSY many years ago, I was by no means a regular face-about-the-studio in 2014, when I first learned about QSY’s yoga teacher certification program. That year, I took notice that the course was being offered, gave it some surface-level thought, and then proceeded to dismiss it, rhyming off the many reasons why the timing wasn’t right. Fast-forward to Spring of 2015, and I was creeping the QSY website once again, keeping my eyes peeled for teacher training updates for the coming Fall. When I saw that an info session was being offered later that year, I decided to attend.